A colorful set of 51 plastic stacking pieces representing one whole, halves, thirds, fourths, fifths, sixths, eighths, tenths, and twelfths. 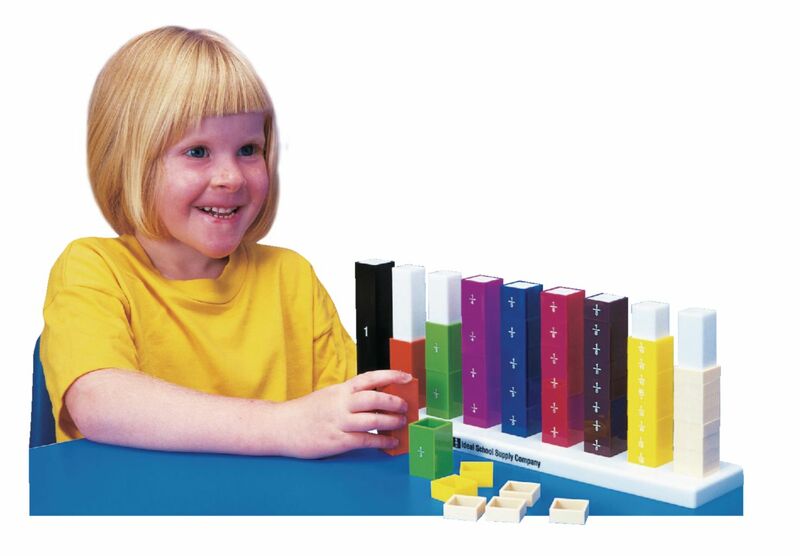 The Fraction Stax is a three-dimensional model that demonstrates and teaches fraction equivalences in a tangible, easy-to-understand method. 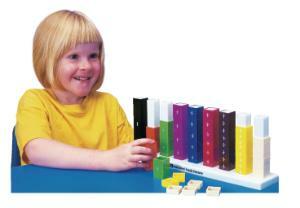 The Fraction Stax is great for teacher demonstrations, group work, and individual studies. Includes one nine-peg base and a Teacher's Guide. Dimensions: 14 x 2 3/4 (35.5cm x 7cm) base. The "whole" Stax is 4 1/2 (11.5cm).